I like to invite my students to Shabbat dinner at my home. It’s a low-stress way for them to experience the rituals of Shabbat, and a chance to just hang out and chat. It’s also a chance for me to meet their families, if they choose to include them. However, there are challenges. Many of my students are vegetarians or vegans, so the menu needed to account for that. I needed a main dish that everyone could enjoy and that wasn’t too expensive. I finally settled on something that was a treat for me, and a novelty for many Californians: Hoppin’ John, a dish of black eyed peas and rice, seasoned with onions and spices, and with an assortment of hot sauces on the table for those who enjoy a little heat. I needed to keep the work to a reasonable level. Cooking a big meal for as many as twenty people was just too much for me, so I make the rest of the meal potluck. For side dishes and desserts, I ask the students to bring a dish if they can. I buy the challah from a local bakery. I could make it, but I’m hoarding my energy to play host later in the evening, remember? The table is deliberately simple: white cloth, plates, silverware, candlesticks, challah plate and cover. Cups for wine or grape juice. Matches where I can find them. Once people begin to arrive, the evening pretty much runs itself. They are excited to see one another, and curious to see what everyone brought. Some enjoy rummaging through the hot sauce tray, looking for interesting things. We light candles, I make kiddush, we make motzi, and we have a lovely meal. At the end, we bless and clean up. I send leftovers home with anyone who wants (thank goodness for Ziplock bags) and by then I am ready to fall into bed! It’s not hard. It need not be a production. Why not call some friends and give it a try? May I bring anything? The answer to that may be “Yes, bring —-” or it may be “just yourself!” If you are asked to bring something, be sure and ask if they would like it to be kosher, or if there are any restrictions you should know about: allergies, etc. Better to ask than to show up with something lethal, right? And even if the answer is “just yourself” it is nice to show up with flowers. Not required, but nice. Finally, it is fine to ask questions about the prayers, the food, or the objects you see as the evening progresses. Some things (a kiddush cup, for example, or a recipe) may come with family stories. 2. BE ON TIME. Your hosts may be juggling the hour of sundown, service times at their synagogue, hungry toddlers or other variables. Shabbat dinner is not a time to be “fashionably late.” I cannot over-stress this: be on time! 3. DON’T WORRY ABOUT HEBREW. The dinner may begin with candle lighting and blessings over wine and bread. If you are not Jewish, you do not have to participate, just listen quietly and observe. If you feel awkward just listening, you have the option of saying “Amen,” (ah-MAYN) at the end of prayers. Don’t worry that you do not speak Hebrew. No one expects you to know it at your first Shabbat dinner! There may or may not be Hebrew prayers or songs in Hebrew. As for singing, if you don’t know the words, or don’t sing much, that’s OK. Enjoy the singing and don’t stress over it. 4. COMMUNICATE! Shabbat dinner is not just about food. It is also about taking time to enjoy one another’s company. Treat each person at the table as if you expect to learn something important from them. Contribute to the conversation when you have something to say. In many Jewish households, friendly dispute is welcome at the table, but keep the tone friendly! Off color jokes and off color language are completely out of place at the Shabbat dinner table. When in doubt, save it for another time. 5. SAY THANK YOU. Write your host afterward and thank them for including you. Email is common these days, but if you would like to make the best possible impression, a written note is best. When you host your own Shabbat dinner (or a similar event from your own tradition) return the invitation! Posted on August 13, 2015 August 12, 2015 Categories ShabbatTags Shabbat, Shabbat dinner2 Comments on Be a GREAT Shabbat Dinner Guest! 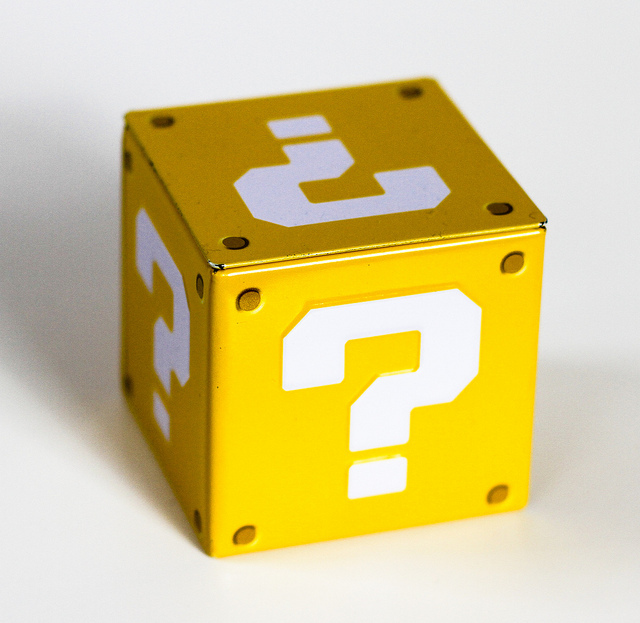 Ask the Rabbi: What Should a Guest Bring to Shabbat? Someone typed “what to bring to shabbat as a guest” into the search engine to get to my blog this morning. I hope they found a post with the answer, but I thought this deserved a post of its own. A gift is not strictly necessary. A thank you note, however, is the proper thing to do afterwards. Flowers are always your safest choice. The reason I say that is that even if you bring kosher food or drink, and you bring it unopened, the hecksher (rabbinical seal) may not be one your kosher host recognizes. If you stick with flowers, you can’t go wrong unless they are allergic to those flowers. Just take my word for it. Kosher kitchens are important to those who keep them and these things create complications, no matter how well meant they are. Last but not least: if you don’t take something, that isn’t the end of the world. Write a paper (not email) thank-you note afterwards, and all will be well. Actual thank you notes are much rarer than wine or trivets, and they tend to be remembered for a long, long time. If you have a question for a rabbi, click “Ask the Rabbi” at the top of this page, and I will do my best to answer your question! No question is “stupid” and you can rest sure that someone else wants to know, too. You are doing a mitzvah by asking! Posted on December 26, 2014 November 3, 2016 Categories Jewish Consumer, ShabbatTags hostess gift, Shabbat, Shabbat dinner3 Comments on Ask the Rabbi: What Should a Guest Bring to Shabbat? It’s time to outgrow the fantasy. The catch is, I am a busy person, and I am also an untidy person. As a result, my House Beautiful fantasy has prevented me from observing the mitzvah of hospitality as often as I might. One of my successes of late has been relaxing that silly fantasy and focusing more on making guests comfortable than on maintaining an image, while at the same time working on the tidiness thing. After all, if this home of mine is my mikdash me’at, my little sanctuary, shouldn’t I keep it tidy? This past week, I hosted Shabbat dinner at my home for my students. When they arrived, I wasn’t quite done with the frenzy of cleaning, cooking and arranging, and the first guests arrived as I was wrestling the extra leaves into my table. I was embarrassed (but I didn’t die) and nothing else terrible happened. The guests helped me with the final setup: setting the table, and it looked like they had a good time arranging my china and placemats and such. Make the next invitations today. Find a vegetarian main dish I can prepare the day before. Look into hiring some weekly assistance with housework. Put “Shabbat things” on one shelf in the cupboard to make it easy for us to set the table together before the meal. As I said back in September, a lot of my Jewish learning as a beginner happened as I was invited into Jewish homes to participate in Jewish routines. I really, truly want to pass it on! What gets in the way of you inviting people into your Jewish home? And, dear readers, does anyone have a great prepare-ahead veggie main dish for summer Shabbat dinners? 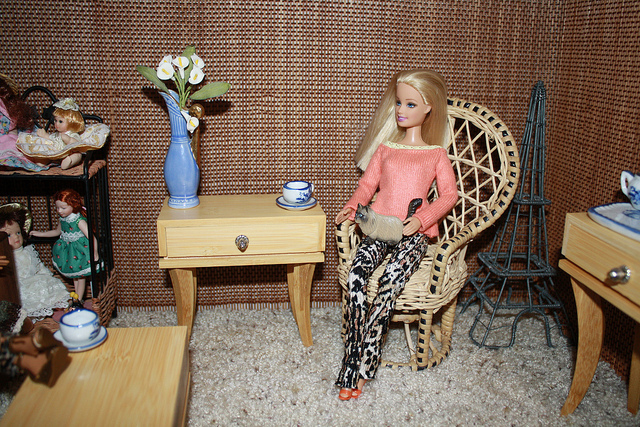 Image: Barbie Beach House by DollyKnickers Some Rights Reserved. 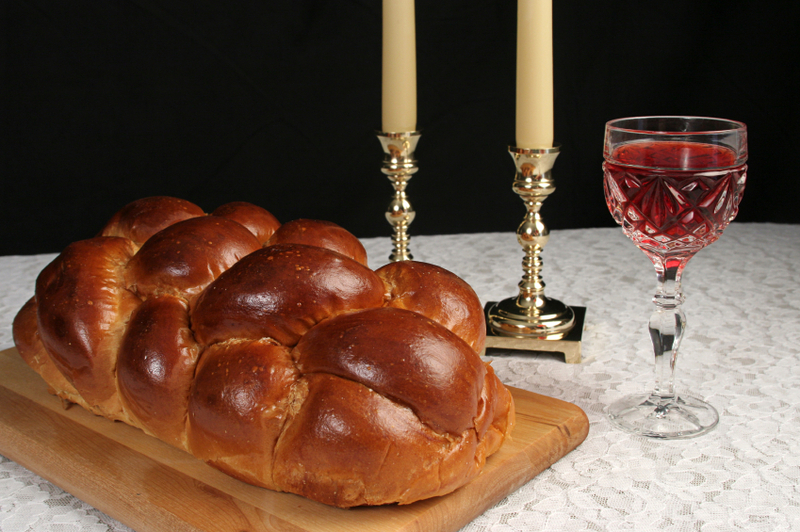 How can your household begin to keep Shabbat? One way to do it is with a simple Shabbat dinner. Note: If you are new to Shabbat, make only a few changes, or even one change, at a time. Try things and notice what happens and how you feel. Adjust as necessary. This is a lifetime project. Blessings may be said either in Hebrew or in English. Do what is comfortable for your household. MAKE IT SPECIAL: “Special” will mean something slightly different for every household. Perhaps you will use a tablecloth, or invite a friend. Whatever you do, make sure it is food that you like and that will not add stress. If cooking is hard for you, have good takeout. Many Jews eat challah, a sweet egg bread, on Shabbat. YOU WILL NEED: Two candles, wine or juice, bread, yummy food. SET THE TABLE Put the candles in candlesticks and bread on the table. Cover the bread with a napkin. BLESS THE BREAD: Uncover the bread, touch it, and say: Blessed are you, Eternal our God, Ruler of the Universe, who brings forth bread from the earth. (If you want Hebrew, or to sing it, you can find a recording here.) Then tear or cut a piece of the bread, and eat it. EAT DINNER: You already know how to do that! SAY GRACE AFTER MEALS: Stay at the table until everyone is finished. Then give thanks for having eaten: Blessed are you, Eternal our God, Who nourishes us all. There is a longer, beautiful blessing which you can learn by googling “Birkat Hamazon” and about which I’ll write in some future post. For now, for a simple Shabbat for beginners, this is enough. The most important thing is to keep things low-key and pleasant: don’t use this meal as a time to remind anyone of work that needs to be done, or for unpleasant arguments. And keep in mind that since Shabbat comes once a week, it doesn’t have to be “perfect.” If there is something you’d like to be different, try that next week!